Not bad at all - 60,500 miles and $631.73 in fees and taxes for business class. Under the old promo awards this flight would have been 62,500 miles plus the same fees. Yes the fees are on the high side but most other programs who may have lower fees would be costing you at least 50% more miles. Some other cities we have found at the 53,000 level. Remember as well you can book one ways for half this amount - 26,500 miles! 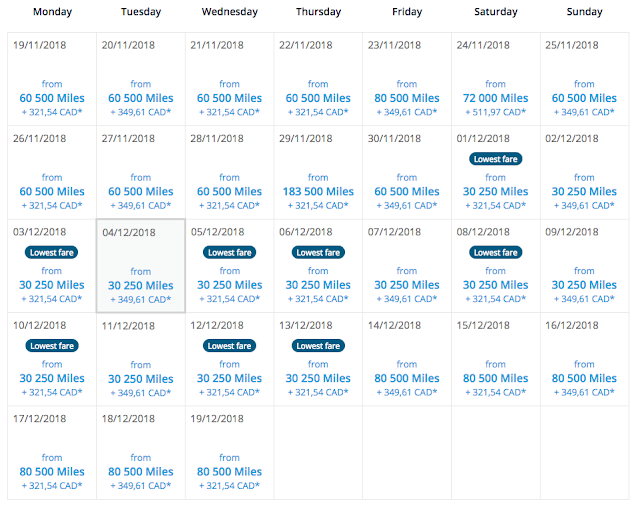 There are many other possible options to check out if this works for you and if you don't have enough miles for a Promo Reward your best bet is to convert Marriott Rewards points to Flying Blue on a 3:1 basis. 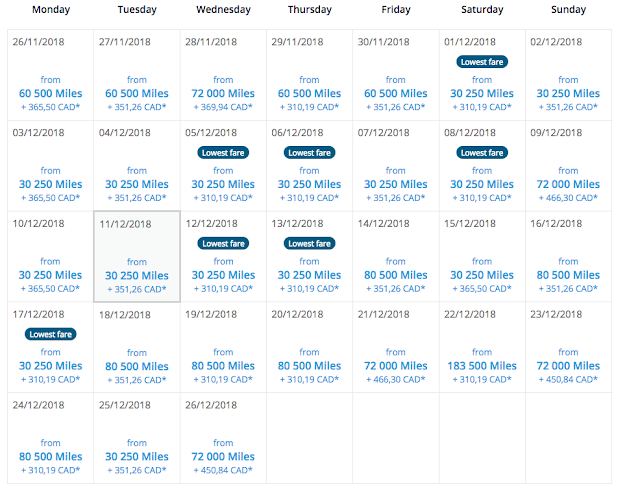 Remember you'll earn 5,000 bonus miles when you convert 60,000 points at a time (a total of 25,000 miles per 60,000 points) That means 120,000 points will get you to 50,000 miles - you could always transfer the small amount more to get to 53,000 for those round trips. If you don't have any Marriott Rewards Points you can always look at getting the Starwood Preferred Guest Credit Card from American Express to top off your account. Currently the card comes with a 50,000 point sign up bonus when you spend $1,500 on the card and then you could also grab The Starwood Preferred Guest Business Credit Card from American Express as it also has 50,000 point sign up bonus and then you would ultimately be able to have 100,000 points not including what is earned on spending. Of course timing of getting the card(s) now, spending and getting the points will likely not happen for this month but it sets you up for future offers. Need to grab two tickets for an itinerary? You could choose to get one SPG card for yourself and one for your partner or spouse and you'll have a lot more points!